Unbridled Books will release Safe From the Sea by Peter Geye in paperback on Sept. 6. If you haven’t read this poignant and deeply riveting novel yet, you have got to check it out. I reviewed it last year when the hardcover came out, and it has stayed with me since then. This is one of the best debut novels I’ve read in a long time. 1. Please leave a comment about what book has stayed with you long after reading it. 2. Blog, Tweet, and Facebook the giveaway for an additional entry and leave a link in the comments. 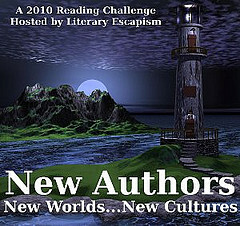 Deadline Sept. 16, 2011, at 11:59PM EST. Safe From the Sea by Peter Geye is steeped in rough seas, relationships, and a break in the weather. From water imagery to isolated wilderness, Geye takes readers on a descriptive and detailed journey of Noah and Olaf Torr’s strained father-son relationship and the past that comes between them. Set in the northern regions of Minnesota near Lake Superior, Noah must confront his father when time is running out. While there is doubt about whether his father is truly ill and dying, Noah drops everything in Boston, including his wife Natalie and their fertility issues, to come to his father’s aid. Coming back to town brings back all the feelings of abandonment he felt as a child when his father worked on the Great Lakes with the shipping companies. Readers will be absorbed in the descriptive detail, leaving their living rooms and subway cars and entering the wooded forest near Olaf’s cabin. The wintry wind will whip through their collars, forcing them to wrap scarves around their necks and feeling the ice freeze on their skin as Noah takes a bath in the lake. For a first novel, Safe From the Sea has very few flaws with only the relationship between Noah and Natalie feeling a bit confused, changing from a semi-adversarial relationship to a loving one once she too arrives in Minnesota. Complex relationships abound in this novel and mirror the churning lake waters when storms approach, but calmer waters prevail as the family comes to terms with reality and the love they share. As deep as the 800 feet of Lake Superior that nearly took Olaf’s life when Noah was a boy, Safe From the Sea will pull readers under and churn them in the undercurrent of Noah’s feelings for his father as he learns to forgive the man scarred by the sinking of the ship Ragnarok, the loss of his colleagues, and the inescapable truth that he was powerless against the elements. Geye creates strong settings, tense relationships between Olaf, his son, and his daughter, and a story that is utterly absorbing from the first page. Peter Geye received his MFA from the University of New Orleans and his PHD from Western Michigan University, where he was editor of Third Coast. He was born and raised in Minneapolis and continues to live there with his wife and three children. If you’d like to win an ARC of Safe From the Sea by Peter Geye, please enter the international giveaway. 1. Leave a comment about why you would like to read this novel. 2. Name an Unbridled Book title you’ve read and enjoyed. 3. Blog, Tweet, Facebook, or spread the word about the giveaway. Deadline is Nov. 30, 2010, at 11:59 PM EST. This is my 55th book for the 2010 New Authors Reading Challenge.